Whether you're a small business owner, mobile employee, or freelancer, you probably need a home office to efficiently accomplish your work goals. A home office can be useful even if all you need it for is to conduct family business. The type of work you do will dictate your specific needs, but the following tips will promote success no matter where you work or what you do. Some jobs require just minimal equipment, such as a table, chair, laptop, and telephone. Create a Mobile Office or "Go Bag"
A legit go bag contains essential items a person needs if they must evacuate their homes suddenly. When the concept is applied to a home business, an office go bag contains the essentials a person needs to complete work in a small space or on the go. If you work solely from home, a go bag can serve as a portable office that you can easily pack up and stow away within the confines of the home—to work today at the kitchen table, tomorrow in the den, the next day in the play room while watching over the kids. However, if your business or job requires you to split time between a home office and one or more remote locations, a go bag is even more essential. In either scenario your go bag will keep you organized, efficient, and focused, keeping the things you need right at your fingertips. 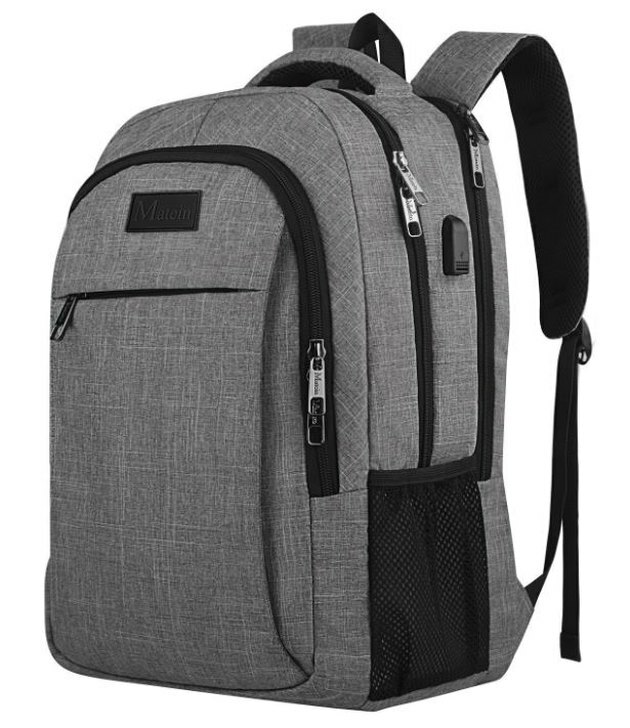 A mobile office easily fits in a business backpack equipped with a charging port, laptop compartment, a front compartment for pens, keys, and other small items, and a large compartment for the rest of your office supplies. The type of bag you choose should reflect your routine tasks. If you complete the majority of your work on a laptop and mobile phone, a canvas messenger bag works well. If you're traveling to meet with clients, you might prefer a business backpack, briefcase, or leather bag. The upside to a leather bag is that it can add a bit of panache to your decor if you hang it on a decorative hook or tuck it away in the corner of a room at the end of the day. 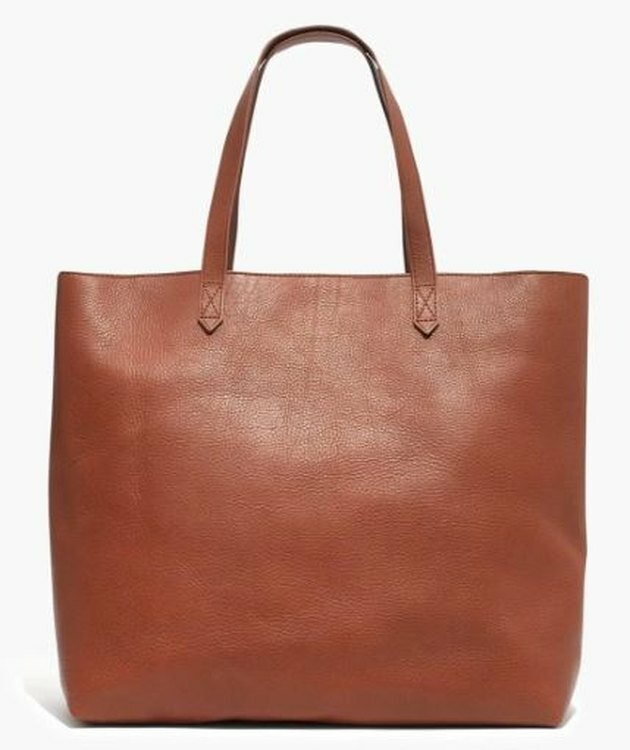 A zip-top leather tote looks polished whether you're hard at work or packing up for the night. Before purchasing a bag, determine what you need to carry so that your bag is sized accordingly. 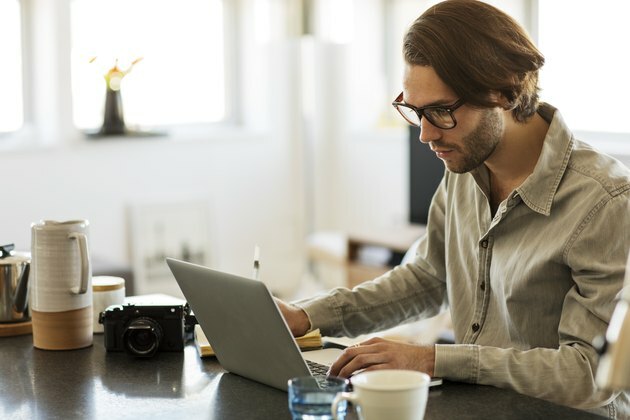 Whether you own a small business or work as a remote employee, your job will likely require some unique equipment. That means you won't need everything listed below and you may need to add others. If you solely work from home, you won't need to include items in your bag that are necessary for people who travel. Electronic equipment depends on a power source and access to data storage. Always have a backup plan for locations without a convenient power source, public wifi, or cellular coverage. If most of your data is stored in the cloud, a physical backup of certain files can be extremely valuable when a normally reliable network goes down. 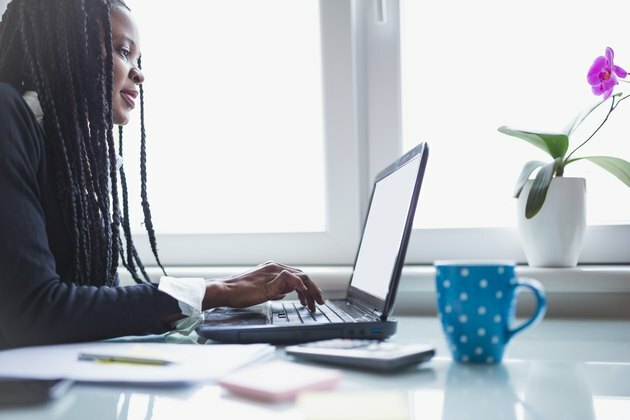 When you work at home, it's helpful to find a space with limited distractions, away from other people and noisy home appliances, especially if you need to talk on the telephone or participate in a video conference. Most likely you'll also need electrical outlets, internet access, and good lighting. A room separate from your living space actually helps you switch into work mode; however, not everyone has a spare room to use as a dedicated home office. That's why so many of us work from a dining room table, kitchen counter, or a corner of the living room or bedroom, which makes a mobile office bag essential. When you take out the bag, your workday begins, and when you stow away the bag, you're off the clock. If your office equipment is minimal, you can store it in a side table, coffee table, or even a kitchen drawer. If you're home alone, the kitchen island easily multitasks as a desk. If you have space for a dedicated office, you'll need a few pieces of furniture, such as a desk or work surface and a chair or stool. Depending on the type of work, you might need to add a filing cabinet, open shelves, or a storage cabinet. Otherwise, take advantage of a nearby closet or space in the garage to store less frequently used equipment, supplies, or inventory. 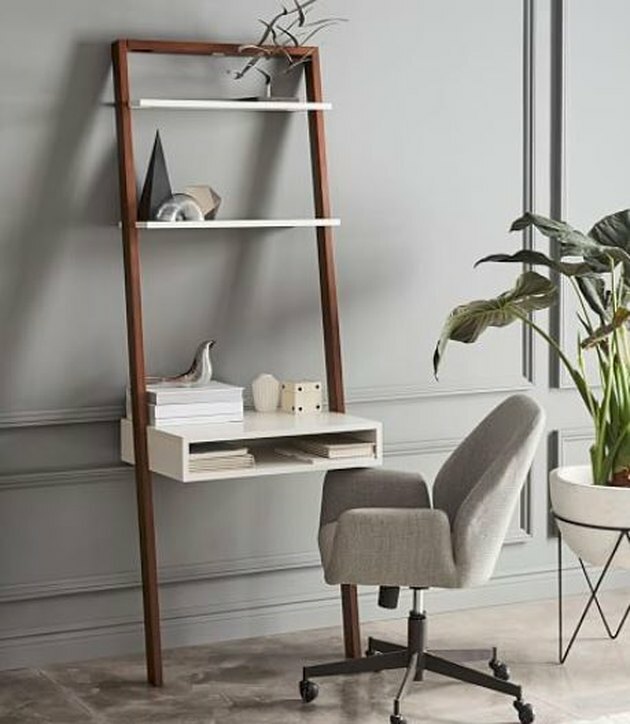 A ladder shelf desk offers a dedicated spot for work without taking up a lot of space. With an increasing trend toward people working from home, more companies offer furniture that's styled and proportioned for home use, such as folding desks that store flat against a wall, shallow wall-mounted desks, leaning desks, mini desks, and workstations on wheels. If you convert a seldom-used closet into a tiny office space, you'll likely find the perfect furniture that can fit behind closed doors at the end of the day. Even swivel chairs have been upgraded to look right at home, and they make working in a tight corner feel less confined. Consider purchasing a standing desk (or mount a floating desk at bar height) and a tall stool so that you can alternate between standing and sitting at your workstation. 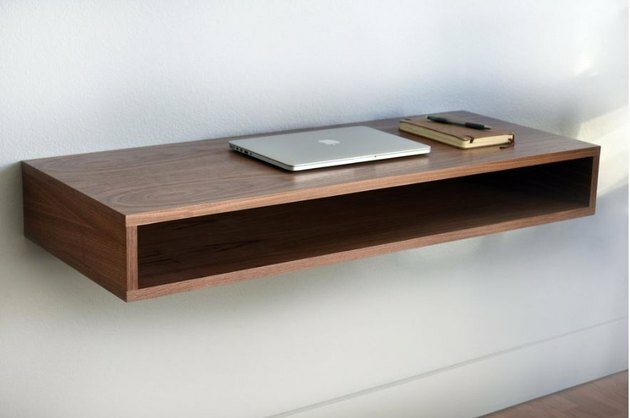 A floating desk works in a bedroom, living room, or even a closet. An office go-bag contains work essentials; however, a home office usually includes a few other necessary items. To store supplies, equipment, product inventory, paper records, or reference books, choose furnishings with a small footprint that capitalize on vertical space. 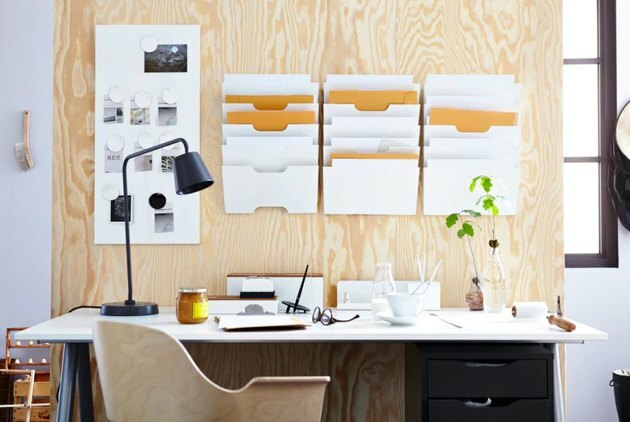 Select shelves or organizers that make the most of wall space above or below your desk. A large filing cabinet isn't always necessary or the most efficient way to work. If some supplies are used only occasionally, consider storing them in a piece of furniture, such as a console table behind a couch, a cabinet in a foyer, a bedroom dresser drawer, or even a cart on wheels that can be pulled into service when necessary and then rolled back into storage. By using furnishings you already own, you keep your space feeling more like home than an office. And that's a good thing. 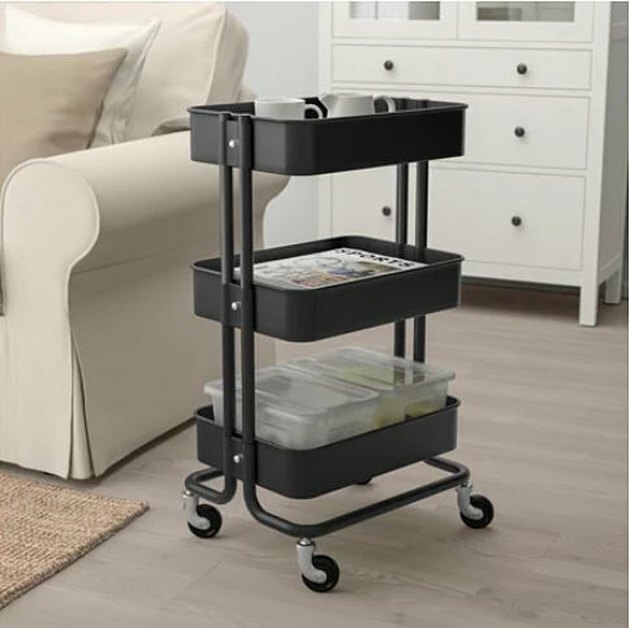 A utility cart is a convenient storage piece that you can deck out with some style or simply stash your goods and stow them away when not in use.